If you are breaking paradigms & challenging the status quo, you can’t be pissed when the mainstream fails to embrace you. Admittedly, the tweet was inspired by a little low grade frustration at utterly failing to generate any mainstream national press interest whatsoever in our book The Plantpower Way, which had recently come out. A self-reminder that you can’t push buttons and expect a pat on the back. 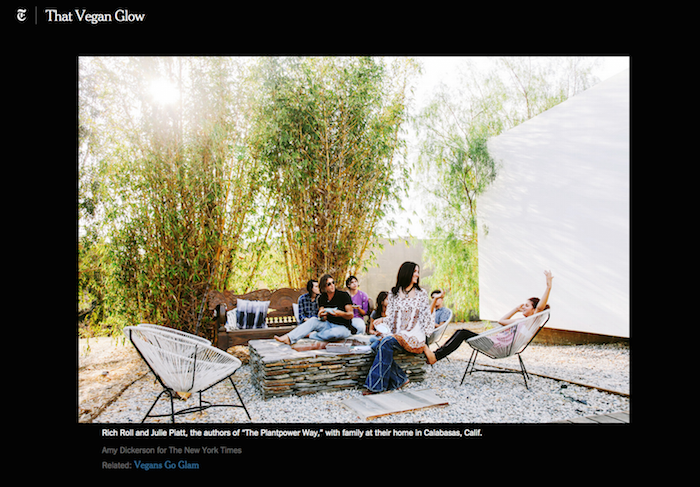 Fast forward three months to today’s publication of Vegans Go Glam in The New York Times (The New York Times!) — a very large profile on our family and the growing vegan scene in Los Angeles and New York deftly penned by Jeff Gordinier. It’s a big article (like, really big) in perhaps the most respected mainstream publication on the planet (do I even need to say that?). It’s also an article that has kicked up some dust, generating lively discussion around the global water cooler. 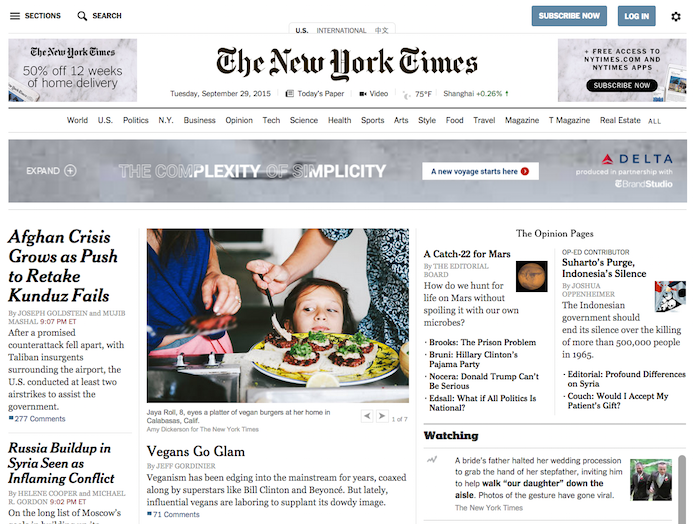 So much discussion in fact, Vegans Go Glam is the #1 most e-mailed story on the entire New York Times website today. Little Jaya just owning the New York Times homepage lead. C’mon! Now, that is just insane. The show concludes with Held So Sweetly, written and performed by Julie — aka SriMati – accompanied by our sons Tyler & Trapper Piatt. Special thanks to “Jo” for today’s question, as well as everyone who submitted inquiries — keep ‘em coming!